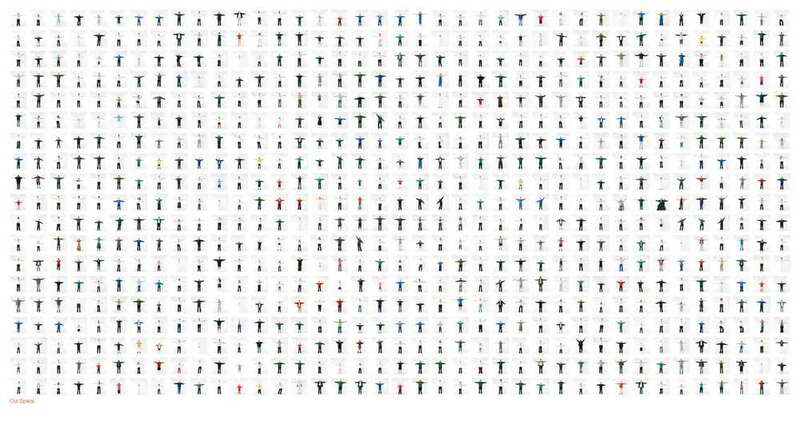 The Our Space public art project was commissioned to permanently transform a disused courtyard through wide consultation and engagement with the local community. 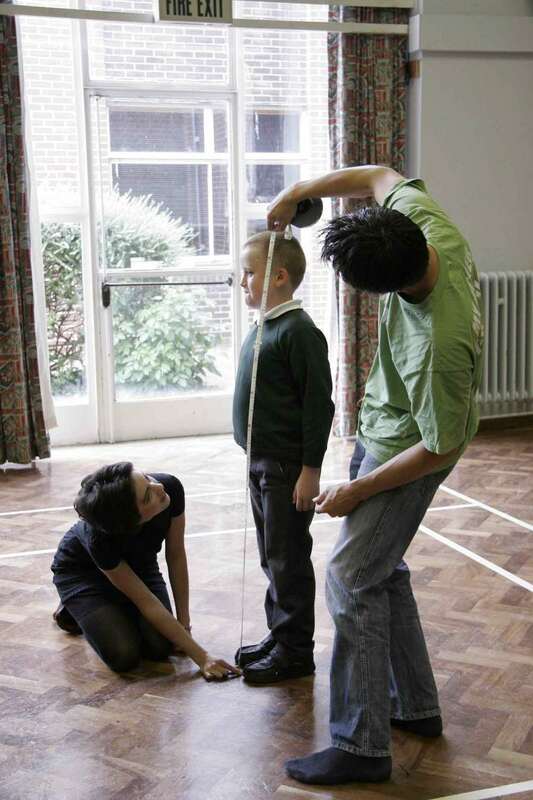 Everyone with a past, present or future relationship with the school was invited to take part in a series of workshops, where participants were measured and photographed. 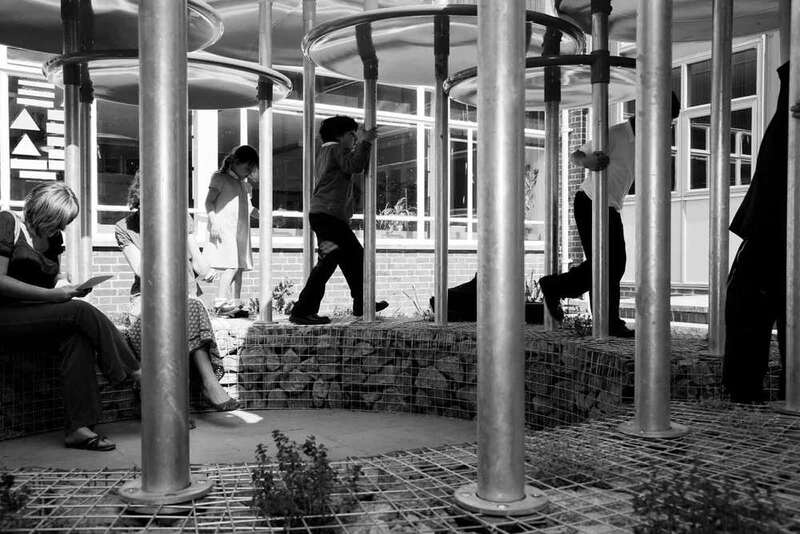 The collected dimensions of the participants dictate the structure of the pavilion. 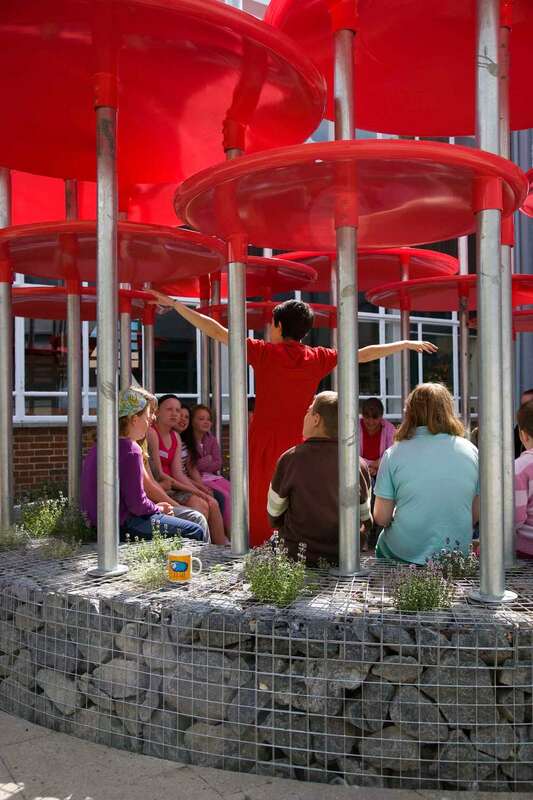 The idea of making a structure one could enter into, and be surrounded by, was a response to the need for a large artwork that would transform an empty courtyard, energising it. The Our Space Pavilion is designed to be occupied, providing a quiet space for contemplation with the potential to encourage and house busy community events. 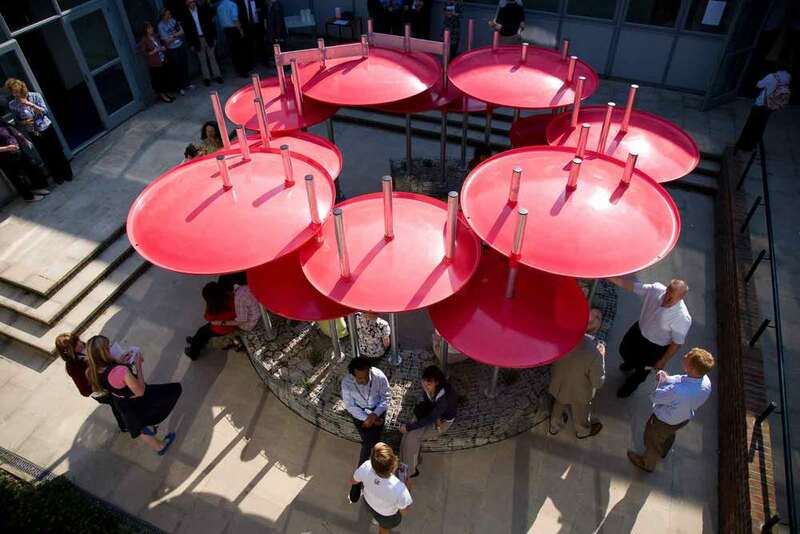 The fifteen spun-steel red dishes overlap to form a canopy, sheltering the space from the weather and reflecting sound from below back downward. The thirty galvanised steel posts form a vertical matrix supporting the dishes and delineating the boundary between the inside and outside of the structure. The curved gabion base grounds the structure, and provides an informal seat. The gabions are formed wire mesh filled with a mixture of granite and earth, planted with thyme. The three elements - the dishes, posts and the gabion base combine to create a bold, dynamic artwork, responding to and reflecting the vibrant energy that is Willingdon Community School.